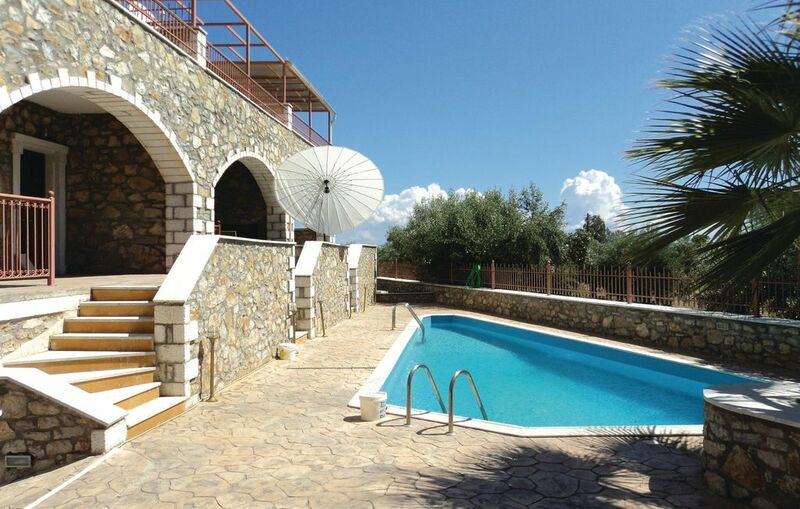 This stone build holiday house consists of two bedrooms and a mezzanine that can accommodate in total 6 persons. This nicely decorated vacation rental is combining old and modern brushes. It is offering relaxation either at the 40sqm of shared pool or at the sandy beach close by. The house is located at the main summer resort of municipality of North Kynouria. Do not miss to visit the lovely star- shaped hill next to the port from which the town takes its name. On top of this hill, there is the castle which is family accessible. The view from the top of the hill is breathtaking.